Whether you're traveling for business or pleasure, there are many reasons to rent a car when you reach your destination. While public transportation will usually take you to major tourist attractions or to the centers of large cities, relying only on trains and buses can be time-consuming. After all, you are forced to travel according to the carriers' schedules, rather than having the freedom to come and go as you please. Taxis, of course, are always an option - providing you don't want to travel too far off the beaten path. If you're on holiday in Spain, for example, and decide to venture over to the Spanish coast or countryside, a taxi is out of the question and public transportation won't take you where you want to go. Indeed, a car hire is the only way to ensure that you have the flexibility to see the sights on your own timetable and on your own terms. For those who think that renting a car in another country will be impossible or cumbersome, it's time to think again. 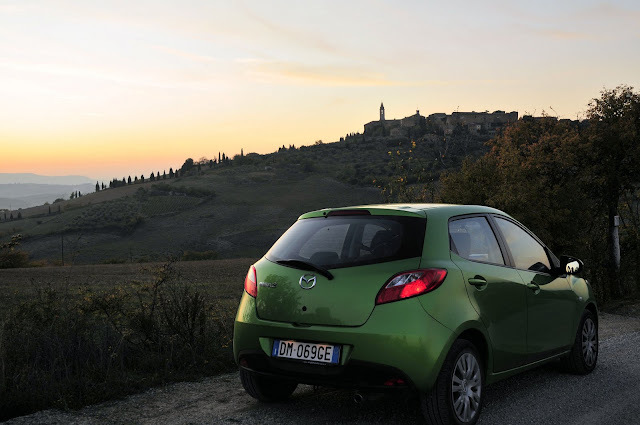 Not only is it easy to rent a car in European countries and the U.S., but it's actually easy to find discount car rentals. The ground rules for a car hire are basically the same across all car rental companies. For example, you typically have to be 23 years old, have a valid driver's license, and have a credit card. When you reserve a car, you normally get to choose what class of vehicle you'd like, such as compact, mid-size, full-size, or a van. However, you don't usually have the opportunity to specify make and model. Nonetheless, most car rental agencies will accommodate your wishes if they have your preferred make and model available when you pick up the vehicle. The choice of whether or not to purchase extra insurance can be made when you collect the rental car. Before you leave for your destination, it's important to check with your own car insurance agency and see if your coverage extends to rental cars in the country you'll be visiting. If not, it's a good idea to sign up for the extra coverage. If you'll be traveling to several different countries, it's important to understand the regulations of the car rental agency as they pertain to crossing borders. If you're in Europe, for example, most car rental agencies will allow you to drive to other European countries - providing you inform them that you're going to do so and that you buy extra insurance. The same holds true for a car rental in the USA; with advance notice, many agencies will allow you to, for example, take the car to Canada. With all of the advantages to using a car hire while you're traveling, the one sticking point is whether or not you'll be able to find a cheap car rental. The best approach is to search online for a company that works with many different car rental agencies; they will have up-to-date information on availability, and can search for the best price available for the dates you desire. Because these online sources book so many reservations, they are able to negotiate bargain basement prices so that a traveler can find the cheap car rental that will make their holiday or business trip convenient and worry-free.